In dentistry, a veneer is a thin layer of material placed over a tooth, either to improve the aesthetics of a tooth or to protect the tooth's surface from damage. Fillings that are large and noticeable. Veneers are also known as thin shells that create a layer over tooth surface. Using this layer, you get to obtain a beautiful aesthetic appeal and protect your teeth from damages too. Porcelain veneers are trusted by expert dentists in a variety of cases included chipped teeth, stained teeth, crooked teeth and other issues. Shah’s Dental Serenity has been working in Mumbai for a while now. We have experienced dentists who design a beautiful smile that matches your complexion and facial features. Allowing our experience to align with latest technologies, we make our treatments successful no matter problems you have. All mentioned issues are studied and resolved by our skilled dentists. 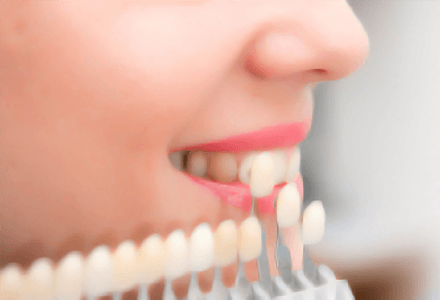 Get Cosmetic Veneers From Best Dentists In Mumbai. 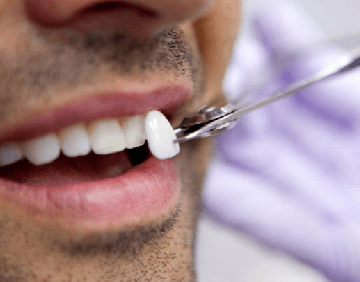 Why choose Shah’s Dental Serenity ? Our veneer treatment approach makes us a reliable choice for you. We follow a systematic process to provide a comfortable cosmetic dental treatment. Starting with expert consultation, our specialists discuss your requirements and inform about procedures and associated materials. Plus, we present images to help you understand our procedures and promised results. After that, your impressions of teeth are leveraged to fabricate perfect veneers for you. Finally, we complete the process of veneer setting. When we are here for your dental needs, no need to worry in any manner. Just contact us and we can discuss your requirements right away.